This is a great cocktail to mix up in a large batch and serve as a punch. 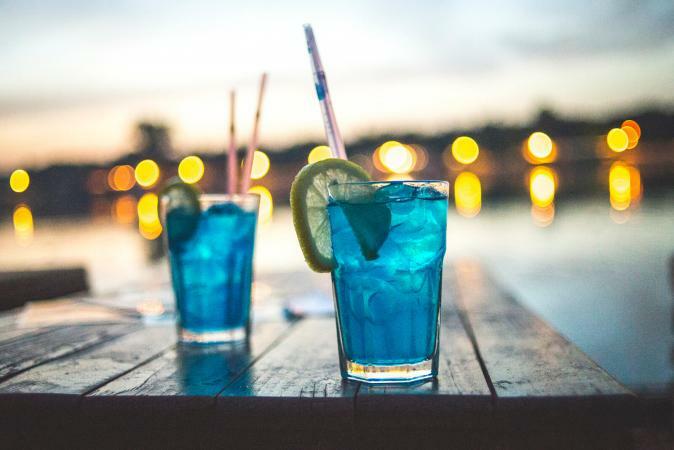 To do that, mix equal amounts of the rum, triple sec, blue curacao, gin, and tequila plus two times the amount of sweet and sour, and then add lemon-lime soda to taste and add ice. You can float lemon or lime slices in the punch bowl as a garnish. You can make very large amounts as a trash can drink for big groups. Replace the lemon-lime soda with ginger ale or club soda. Add a dash of grenadine to give it a slightly sweeter taste and a nice, purple color. Replace the rum with an equal amount of Malibu rum.